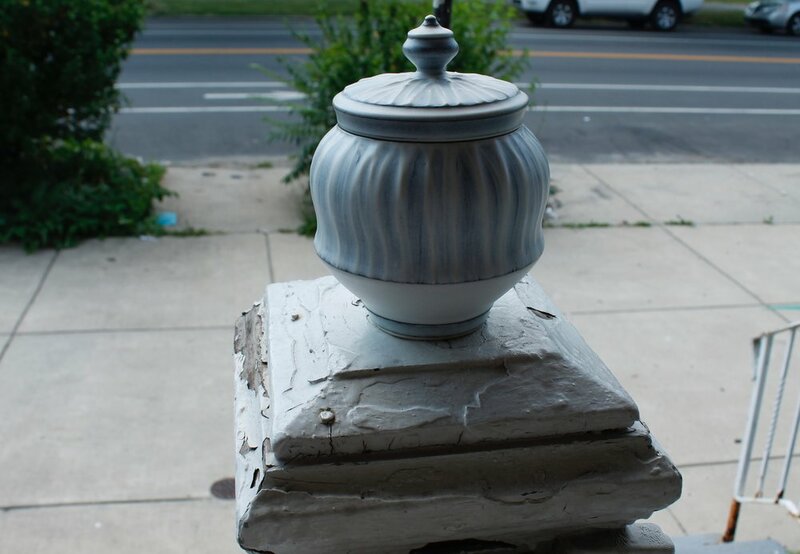 The goal of The Philadelphia Potters is to promote the creativity, diversity, and excellence of functional pottery being made in Philadelphia, and within our extended community of peers. Our objective is to educate, inspire, and inform the Philadelphia audience and beyond about this timeless art form. Naomi received an MFA in 2007 from The Ohio State University and BFA from The University of the Arts in 2002. Naomi returned to Philadelphia in early 2008 to work as a full time studio artist. Naomi has spent a summer at Watershed Center for the Ceramic Arts and has twice participated in residencies at The Belden Brick Factory. She has taught hand building and throwing to children and adults in classroom and workshop settings. Naomi is currently the Retail & Communications Manager at The Clay Studio in Philadelphia. She lives and shares a studio with partner Daniel Ricardo Teran in the Brewerytown section of Philadelphia and is a founding member of the Brewerytown Ceramics Collective. My aim, as a potter, is to create an opportunity for an intimate experience for the viewer and user of my pieces to slow down, to hold, turn, touch, and investigate what I have created. I have become increasingly concerned about the pace at which most people move through their day, with little time for community, family, explorations of the natural world, and ones overall well being. The notion of slowing down to enjoy life's subtleties must absolutely be manifested! In slowing down, we can begin to rediscover how community can bring us warmth, family can ground us, heritage shows us our roots, and that the natural world is abundant and salubrious. I find solace and joy in making hand made pottery that, to me, inherently shows reverence and embraces these principles of slowness. Daniel received his BFA form the Kansas City Art Institute in 2007 and has since completed residencies at Watershed Center For The Ceramic Arts, and The Armory Art Center. He currently lives and works in Philadelphia, Pa. Daniel is currently an instructor at The Clay Studio's School. The functional objects I create emerge from observations of the lived space. Light shifts across a room, affecting how one perceives objects in the home; reflections and shadows cause relationships to appear between two (or more) surfaces and the spaces in between. My quiet, simple vessels with white exterior surfaces are inextricably involved with nearby objects; I am intrigued by the way the surface of one always affect the perception of another due to shifts in the intensity and direction of light covering the forms. Architectural, yet soft and inviting— the cups, bowls and vases I make are asking to be held, to be touched, to be used. Each vessel shares with the viewer/user a particular type of looking: one in which the act of noticing an object transforming from one moment to the next becomes a silent, almost meditative experience.